SMi are delighted to welcome Dr. Paul Tunnah, CEO, pharmaphorum, onto the agenda! Dr Paul Tunnah founded pharmaphorum in 2009, and it has rapidly evolved and developed its services to drive better communication, connection and collaboration between the pharmaceutical industry and other healthcare stakeholders through both its digital publication and specialist content consultancy (pharmaphorumconnect). Paul is a recognised author, speaker and industry advisor with a passion for helping organisations tell authentic stories that resonate, co-create solutions and unlock the power of digital and social media in connecting with customers and understanding markets. Dr Tunnah holds a BA in Biochemistry and DPhil in Biological Sciences from Oxford University. – What is the right approach to assessing where and how to conduct social media activity? – How will pharma be using social media in 2028? The Social Media Pharma team had the opportunity to interview Dr. Paul Tunnah about his session and industry experience. Q. Do you see the trends in use of social media and other digital methods changing over the next 5 years and if so, how? Q. 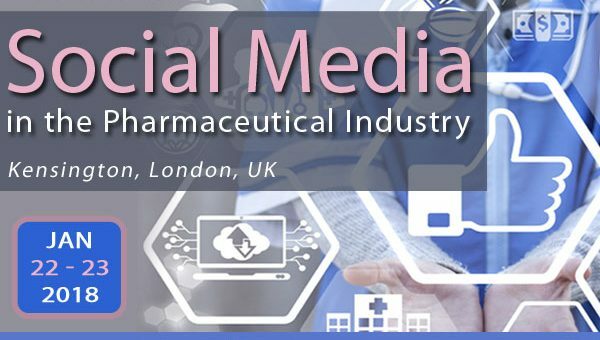 Are there any regulatory hurdles that must be considered when using social media in the pharmaceutical industry? Q. What is the biggest challenge to pharmaceutical companies when using social media? Over the past years, small businesses have continually embraced the opportunities offered by social media. Dr. Paul Tunnah was listed in the top 100 global business influencers for 2017! The top 100 ranking was based on key metrics sourced from Twitter data.